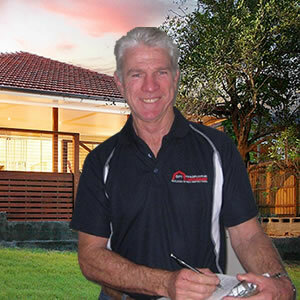 "We specialise in providing combined pre-purchase Building and Pest Reports"
We specialise in providing Outstanding Service, Accurate & Thorough Inspections, Great Communication & Quality Reports in 24 hours. All Building and Pest Inspections are carried out by Noel Milne, a fully licensed Builder, licensed Pest Technician and fully insured the owner of the business. Noel has over 40 years’ experience in the Building industry, including 35 years as a Registered Builder. 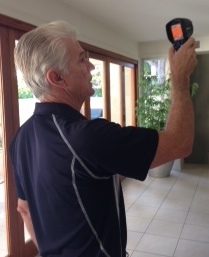 FreeCall 1800 663 390 or mobile 0409 960 095 to book your Inspection. My mission at BPI Brisbane Central is to perform high quality, thorough Building & Pest Inspections & provide detailed, accurate & unbiased reports to inform our clients with the knowledge they need to make a correct & informed decision when purchasing their property. My aim is to offer the best service to my Clients by going beyond what is required and giving the Client all the relevant information so they can be confident in their buying decision. This technology along with years of experience aid in locating various moisture issues, rising damp, water leaks and termite activity. Landscaping features such as retaining walls, fencing, steps, driveways and paths. With a thorough & detailed inspection from a trusted inspector, you can feel confident to make the right decision when purchasing a property.